Cost-effective solution for your farm, ranch, maintenance/repair operations. 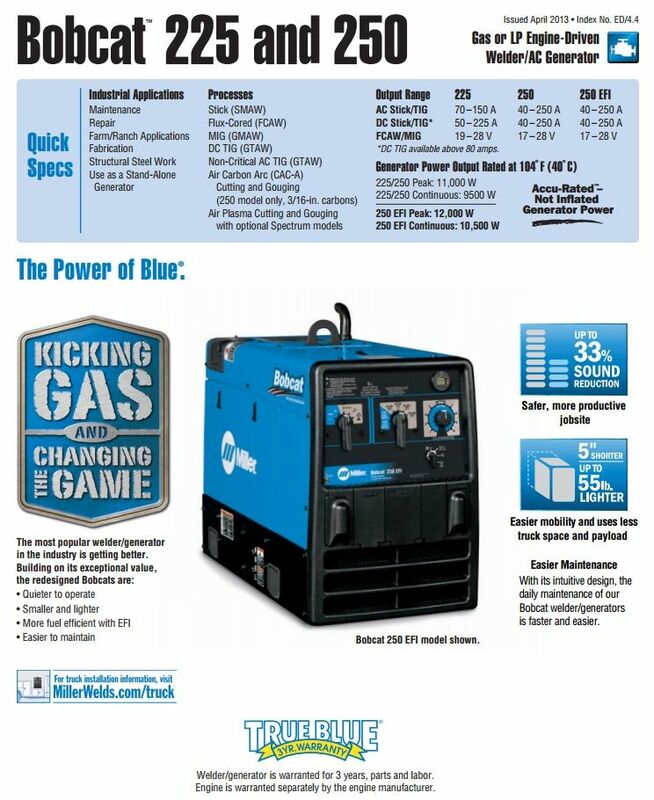 Revolutionary ten-degree skewed-rotor design optimizes generator performance for smoother power - not spiked power found with other brands. Better power— better performance. 5 stars - "Welder" Guest Great price and shipping was great! 5 stars - "Shipping" Mark H. Have not received it to date. UPS Freight is definitely not as proactive or efficient as UPS. SAIA, the carrier that UPS Freight handed my welder off to is also second rate in communication. My welder was transferred to RAC a few days ago from SAIA, and they have been very communicative. I hope to receive my welder this afternoon. RAC will at least contact me if anything changes... Cannot rate the welding machine yet, but the shipping has been substandard. 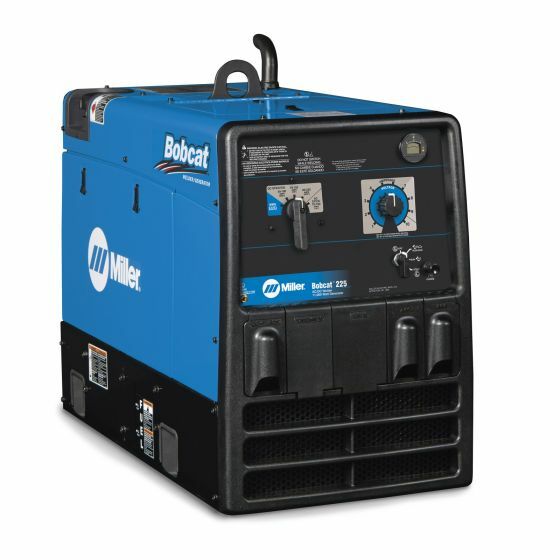 5 stars - "Miller Bobcat 225" Guest This welder/generator is awesome. Plenty of power to get the job don and then some. I really wish I had purchased it sooner. 5 stars - "Miller Bobcat 225 Welders" Paul L. These work great for us and IOC is a pleasure to buy from. 4 stars - "Miller bobcat" Guest The unit arrived quickly but had some shipping damage. The team at welding supplies by IOC were great to deal with. They took care of the issue and did it quickly. I will only shop with them from now on! 5 stars - "Bad shipping coordination" Bryan C. The delivery tracking system showed they coordinated a delivery time when in fact they did not. The delivery guy gave me 45 min to be at my house otherwise threatened an additional delivery charge. I had to jump through hoops to get someone to sign for this welder while I was out of town. That's not a good feeling after spending almost 4k on a new machine. Other than that the delivery was quick and the welder works awesome so far. I would highly recommend buying again from this company just not using the same delivery company. 5 stars - "Excellent customer service! On time" Kaylon R. Excellent customer service! On time delivery! 5 stars - "Great welder" Guest Have zero complaints came on time and the delivery was exceptional called before and placed it exactly where I needed.